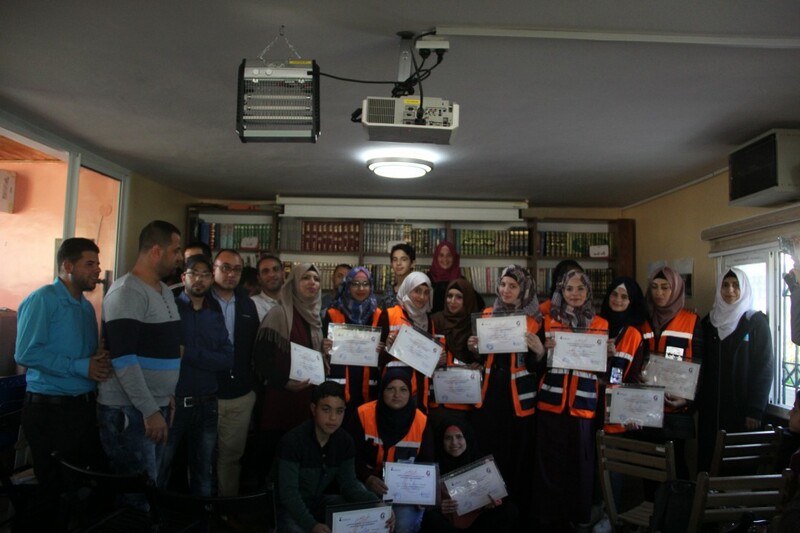 Burj Al-Luqluq Social Center Society honored, on Saturday 5th November 2016, the volunteers of Al-Aqsa Clinic – Burj Al-Luqluq first aid unit for their great efforts and the services they provided to the worshippers who come to Al-Aqsa Mosque, in addition to their activities in the Jerusalemite hospitals. Burj Al-Luqluq Executive manager, Muntaser Edkaidek had a speech in which he thanked the volunteers for their efforts and assured the importance of their role. This was followed by the speech of volunteers by the volunteer Bara’a Ghazzawi, in which she thanked the team for their services for Jerusalem. Moreover, the volunteers presented a sketch which included everything they learned like choking and CPR. Afterwards they explained each situation in addition to how to deal with it. Burj Al-Luqluq, in the end, honored all the volunteers with appreciation certificates.